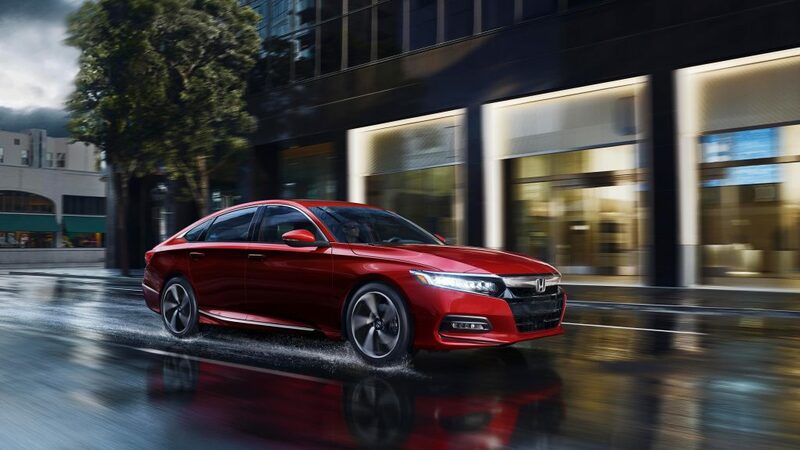 The com pletely reimagined 2018 Honda Accord arrives at Richmond Hill Honda with a Manufacturer’s Suggested Retail Price (MSRP) starting at $26,490 and topping out on the Touring trim (2.0T) at $38,790. In recreating the Accord for its 10th generation, Honda designers and engineers sought to convey “absolute confidence” in every element of design and performance. The 2018 Accord Hybrid’s third-generation i-MMD Two-motor hybrid system is a highly efficient powertrain that selects the optimal drive operation under a wide range of driving conditions to combine fun-to-drive performance with outstanding fuel efficiency. The new hybrid will arrive in early 2018.